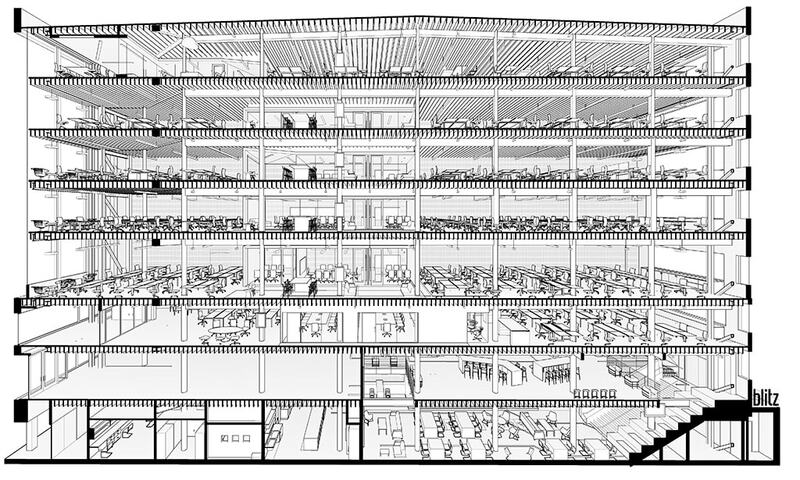 Zendesk leased a 75,000 SF building in San Francisco for their new headquarters within an existing 8 story building (including basement). Scope included open collaboration office areas, large kitchen / meeting areas, exercise room, and lounge areas. Relocation management included the relocation of 350 employees from their previous facility. Zendesk is an American service software company based in San Francisco, providing cloud based customer support platform with interaction between businesses and customers.